I used LinkedIn for two reasons: 1) It has a nice search function. Users can not only search by school and company, but also by current or past employment. This is a nice tool for recruiting as well. 2) Most MBA graduates like to update their LinkedIn profile. This was definitely a big assumption, but we could also assume that the rates of LinkedIn utilization is similar across MBA peer schools. 4. Count the number of search results, subtracting any current interns at the companies. 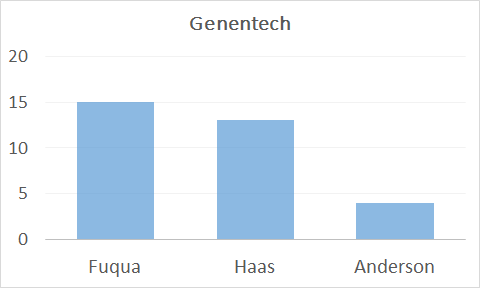 I was pleasantly surprised to find Fuqua having more alumni than local schools at these two companies. This was definitely not something I expected. 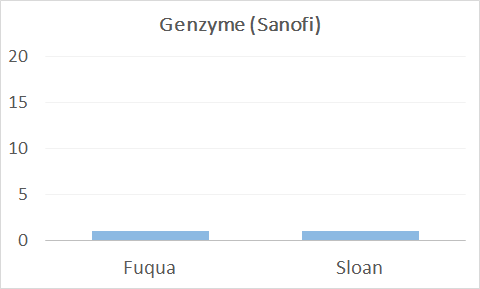 It's surprising that Genzyme doesn't have more MBA graduates from either Fuqua or Sloan. 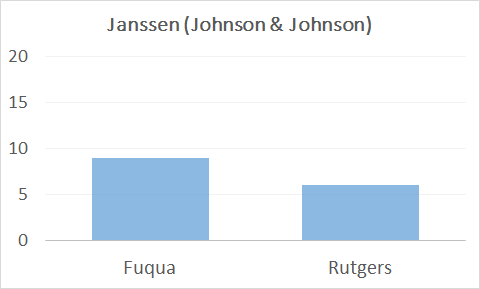 But otherwise Fuqua doesn't seem to do too bad when it comes to Boston at these two companies. 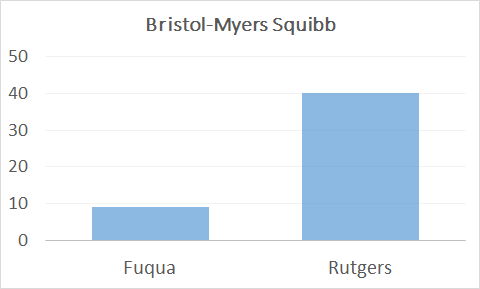 Fuqua does a fairly decent job in terms of alumni at Janssen and Bristol-Myers Squibb in New Jersey. Rutgers has a very strong health care-focused MBA program, with 42% of its class going into health care. 1) Size of company: Start ups don't have resources to fly recruiters across the US to meet with and interview MBA students. So I'm pretty confident if we did something similar for the start up hubs we'll see much less Fuqua presence. 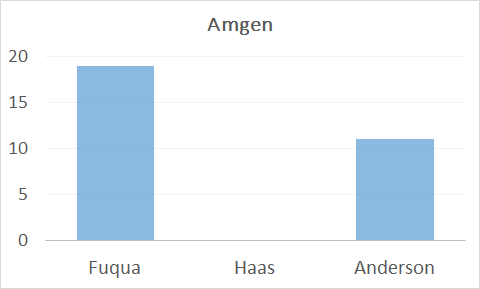 2) Type of industry: I know for a fact that VC/PE, etc have a strong school focus. Duke for example, does not graduate many folks who go into VC/PE right out of the MBA (2% for 2012-2013). 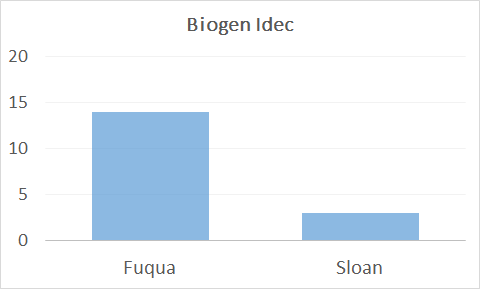 For IB, Columbia has 18% to Fuqua's 8% (2012-2013). In sum, I highly recommend folks to do the above exercise for their target companies. Thank you for the kind words Sathya. This is the stuff that keeps me going. I've benefited greatly from blogs that other people have written so this is my way to give back. It's a lot of fun too. Right now I'm working on a few posts on the topic of leadership, inspired from my internship experience.